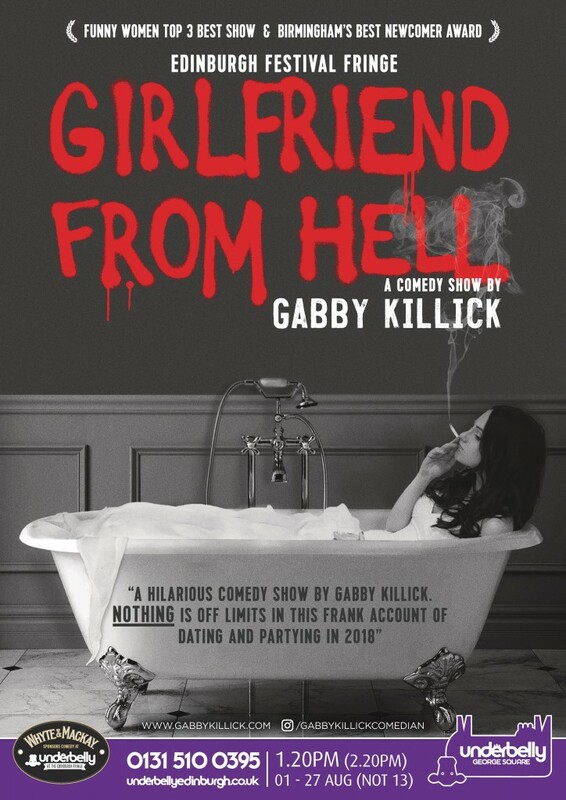 Gabby Killick is one of a new wave of female comedians taking Europe by storm! Gabby has recently headlined shows in Austria, Germany and Spain as well as being listed in the Funny Woman top three and winning Birmingham’s Best Newcomer. Girlfriend From Hell gives a unique insight into the minds of today’s Instagram girl with useful advice on everything from what to do when you lose your skirt, to how to walk when you’ve taken too much Ketamine. And underpinning it all is the belief that it’s never too early to start stalking your boyfriend.